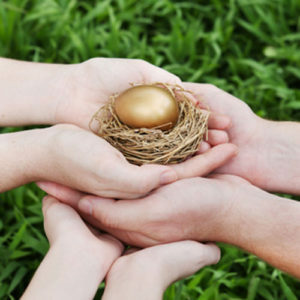 Long term nest egg protection is combining the security of family financial planning with the proper legal entities. You will want to form these entities in jurisdictions with the most powerful protective statutes in the world. Using the proper legal tools has proven to be the most foolproof way to protect your assets. You can also do this an estate planning maneuver. It works most effectively to project assets when done well in advance of the need for protection. So, create a financial plan involving protective vehicles formed in the safest jurisdictions. 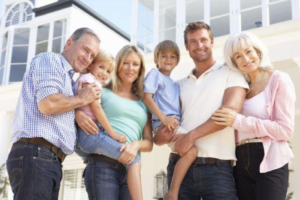 When you do, you lock your assets into financial structures from which only you and your family can benefit. The most important decision for your family is securing its financial future. In order to maximize the strength of an asset protection plan, one must perform a transfer of personal assets. Place cash, real estate and vehicles into a separate legal structures. The key is controlling instrument and establishing who and what can benefit from your financial assets when your plan is established. Keep in mind, you don’t have to stick with the laws of your own country. The United States, for example, is the most litigious country in the world. It is the the home 96% of the world’s lawsuits. U.S. laws make it very easy for an attorney to get his hands into your pockets. So, as controversial as it may seem to the uneducated, it is perfectly legal to house money offshore. The offshore trust the strongest asset protection tool available today. Here are some key tips to protecting your nest egg according to the US Department of Energy. Tip 1: Lawsuits are the Greatest Wealth Killers. Set up an Asset Protection Plan Before You Need It. This chart shows the benefit of starting early. Phase-in retirement a bit at a time. When you do this as an estate planning move, you are not intending to defraud any creditors. The key is to do this before you have a creditor who pursues your assets for any reason. The courts are also less likely to deem it a fraudulent transfer (which is a civil matter, not a criminal one). The cornerstone of asset protection is owning your life’s worth in vehicles created to benefit you and your family; ones that a creditor or legal opponent cannot use to satisfy a debt. This includes judgment creditors. Assets can include your business income, as well as real property, other valuables, savings and investments. You should update your asset profile as things change during your life. A healthy asset protection plan is a current plan based on today’s wealth. Asset protection planning requires an experienced professional. They can help you understand what kind of protective vehicles are right for you and your assets. This is which is why it is so important that you talk to a qualified planner. This organization started protecting assets for decades and was established in 1906. The time to act is right now, when you don’t have a legal storm on the horizon. If the legal storm has already arrived, there are steps that you can still take as long as they are taking quickly. Business owners, home owners, investors, parents, physicians and married couples should all at least understand the risks they’re exposed to. Then get information on what they can do to protect their financial futures today. Many families spend more time planning a vacation than they do their future financial security. You can put yourself in the loop by scheduling a free asset protection consultation with a qualified professional, right now, or understanding more about protecting your assets in our learning center.